After signing here, you become primary member of ekjoot.com. You can now support, comment and share an issue. If you wish to upload an issue or lead any issue, please fill up the secondary iformation in Account settings in the drop dowm menu at right coner. 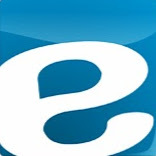 You are a primary member of ekjoot.com. You are succesfully authenticated from facebook. Please provide your valid location to complete registration. You are currently a primary user on ekjoot.com. If you wish to post an issue or lead any issue, please fill up the secondary information in Account settings. The number of potholes on Mumbai’s roads has reduced considerably over the past four years, Chief Minister Devendra Fadnavis claimed on Tuesday, even as he announced that the Mumbai civic body would collaborate with the Indian Institute of Technology-Bombay (IIT-B) and adopt new, innovative technologies to further reduce potholes. The CM, who was responding to a query raised in the state Assembly by ruling and well as Opposition legislators on Mumbai’s perennial problem of bad roads, said potholes in the city had come down from 14,455 in 2014-15 to 4,044 in 2017-18. In 2015-16, the city roads had around 5,316 potholes, and in 2016-17 this number reduced to 4,478, he claimed. Fadnavis also told the Assembly that the Brihanmumbai Municipal Corporation (BMC) had so far spent Rs9.3 crore to fill potholes, while Rs80.73 crore worth of tenders were issued for resurfacing roads and other repairs. He also called for a report from the BMC on the performance of the new cold-mix technology that it is currently using to fill potholes. Fadnavis refused to institute a ward-level inquiry against officials over the problem of recurring potholes, as demanded by Congress legislator Naseem Khan, but said that specific allegations made about bad roads would be looked into.